What are ice baths, and can they help you recover after exercise? See the surprising facts. Whether you play contact sports, work out in the gym or cycle, chances are you feel some form of post-workout pain. Ice baths are becoming more popular as a method of combating that pain, as well as reducing recovery time and increasing performance the next day. You can take an ice bath in two ways. In one type of ice bath, an ice plunge, you submerge your body in cold water of around 59°F (15°C) for 10 minutes. The second type, for the more extreme sports enthusiast, requires you to submerge affected areas in a bath filled with ice cubes and little to no water. The thinking behind ice baths goes like this: when you exercise, it causes tiny tears to the muscle fibers, or micro-trauma. While this sounds bad, it stimulates muscle activity, which helps to not just repair the damage but strengthen the muscle. This is what primarily causes soreness that can last up to a few days after exercise. The theory behind ice bath benefits is that submerging the muscle in cold water constricts blood vessels and flushes waste products like lactic acid out of the tissue. This decreases metabolic activity, swelling and tissue breakdown, resulting in reduced pain the next day. Lowering the core body temperature also takes strain away from the heart and reduces central nervous fatigue. While icing immediately after exercise does suppress inflammation, it can also hinder muscle-fiber growth and delay muscle regeneration. That means if you’re looking to gain mass, ice baths may not be the best recovery option for you. Benefits have not been comprehensively proven, so why do athletes take ice baths? Many still believe in ice bath benefits, and some have even tried cryotherapy. This new method takes ice baths to the extreme, putting people inside a chamber that’s lowered to -148°F (-100°C). Prominent sports teams, including the Leicester City Football Club, have been known to try out this futuristic treatment. How do you take an ice bath? If you’re keen to take an ice bath after your workout, consider doing it after every training session to see results. For first timers, or those doing full-body workouts, it might be best to start by submerging yourself in cold 59°F (15°C) water for 10 minutes. Because the average human body temperature is 98.6°F (37°C), this temperature will still slow down body circulation and then increase blood flow with rewarming, helping you flush away those post-workout waste products. Extreme athletes could try a 100% ice bath. That means 0% water. Fill a bucket with ice and aim to submerge your legs in it for 15 minutes. While this might not seem like a long time, when your feet are sitting in ice, it can feel like an eternity. So if it’s your first time, see how long you can last. If you only last a minute, that’s totally fine. Next time you work out, try to last for thirty seconds longer, and keep trying to increase the amount of time with each workout. Is there any evidence to support the benefits of an ice bath? Studies have been conducted on ice bath benefits, but the results are mixed and contradictory. There are so many variables at play, from age and fitness level to the methodology of each test, that there aren’t any conclusive results. A study by the University of Auckland indicates that ice baths don’t reduce inflammation and can even hinder muscle growth, arguing that gentle post-workout exercise is a much better choice. The study does support the use of ice baths for short-term muscle pain relief or a quick wind-down. However, a study from the US National Library of Medicine shows contradictory findings, arguing that ice baths can help to decrease post-workout inflammation. 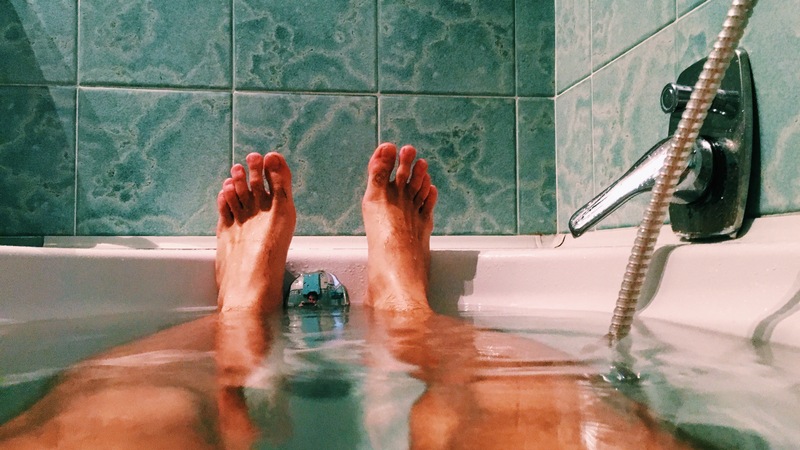 The best way to find out if ice baths are right for you is to try them out yourself. But, as with any change in routine, we need to add that before you make your own polar plunge, it’s always best to consult your doctor or personal trainer to make sure trying an ice bath is safe for you. Are Color Runs, Bubble Runs & Blacklight Runs For You? Does Running at Altitude Improve Performance at Sea Level?